The Bulgarian Commission for Personal Data Protection (CPDP) has rejected a citizen’s claim against Bivol for the disclosure of personal data, filed under Regulation 2016/679 or the GDPR, shows the decision in administrative case PPP-01-126/October 30, 2017 of the CPDP. It was published on December 3, 2018, but we give publicity to the decision today, January 28, on the occasion of the Data Protection Day. In addition, L.P.P. also filed a claim against the Sofia Municipal Council (SCC) over a PDF file with information about the termination of a co-ownership with the Sofia Municipality, in which personal data, including the claimant’s Persona Identification Number (PIN, the Bulgarian equivalent of the social security number – editor’s note) had not been deleted. Bivol was defended in this case by lawyer Alexander Kashumov. The Commission finds the obvious. 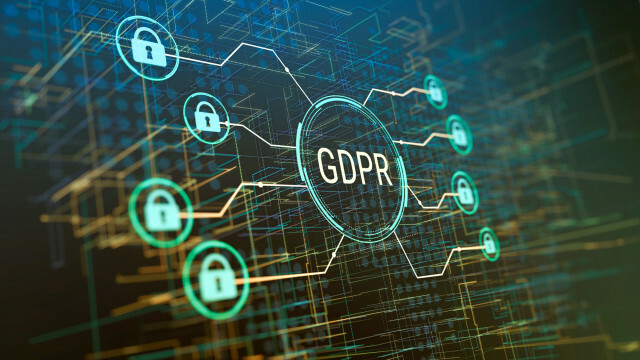 The data in the Bivol’s search engine, which is a copy of the Trade Register, do not violate the Protection of Personal Data Act and Regulation 2016/679 – the legendary GDPR – because they refer to the management body of a legal entity. The Commission has not found on our site information on CCB accounts. There is such information, but it also is a copy of the official publications of the Deposit Insurance Fund after the bank secrecy was lifted by Parliament. That is why the CPDP has decided that the claim against Bivol is untenable. Nevertheless, it has sanctioned the Sofia City Council with an “official warning” regarding the publication of the claimant’s PIN. The decision on the sanction is even more important because if the institution got such a “strict punishment” for the disclosure of a citizen’s personal data, the media should also be treated in the same manner if they mistakenly post someone’s PIN. Meanwhile, however, Bulgarian lawmakers just very recently adopted unacceptably restrictive rules in relation to Regulation 2016/679 which in reality give the CPDP the power to censor media, something that is not provided for in the Regulation. Respected journalist organizations and public figures have already called on Bulgarian President Rumen Radev to veto the law. In neighboring Romania, GDPR has been already used by the government as a “bat” against our partners from Rise Romania, who are threatened by a huge fine of EUR 20 million for a publication exposing the most powerful Romanian politician, Liviu Dragnea, for corruption. The European Commission has objected to this sanction, but has not proposed any changes to the GDPR that would deprive from such “bats” authoritarian governments tempted to use European legislation to silence the media.